In the very place where Johann Strauss himself used to direct his orchestra from the position of first violin, the absolute essence of Vienna's classical music can once again be heard daily. 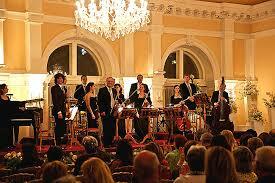 Strauss & Mozart Concerts in Vienna Kursalon - Beginning of the concert: daily at 8.15 p.m. 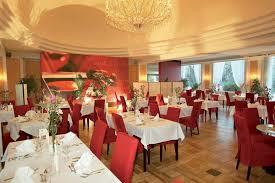 Enjoy one of the famous Viennese Strauss & Mozart Christmas Concerts in the beautiful surroundings of the Kursalon Wien. Be there when the “Salonorchester Alt Wien” performs together with excellent ballet soloists and international opera singers for the last time in the year a sparkling selection of the loveliest melodies of Waltz King Johann Strauss and of the principal proponent of the Viennese classical style, Wolfgang Amadeus Mozart in the magnificent Lanner Hall of the Kurslalon Wien. Within our New Year’s Eve Gala you have the possibility to learn how to dance the waltz at our waltz workshop and to perfect your skills later by pleasant dance music. At midnight a musical firework display awaits you on our beautiful terrace overlooking the City Park and afterwards you can let this wonderful evening end at our New Year’s Eve party. Be present when the “Salonorchester Alt Wien” gets together for the first time in the New Year to present the music of the great masters Mozart & Strauss at its best. *The category VIP contains one VIP seat in the 1st or 2nd row, 1 glass of prosecco in the interval, a Johann Strauss CD and a programme booklet.